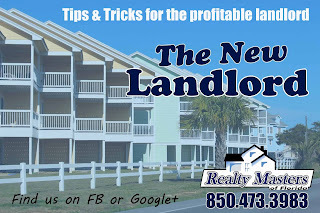 Love to Live in Pensacola, Florida: The New Landlord: Take it with you! The New Landlord: Take it with you! Donate it, give it to your brother, just don't leave it at your rental property. Take everything from your rental home. Sometimes homeowners feel the need to leave things behind, especially when they intend on moving back to the home. While this may be most convenient for you, there are very few instances where it's a good idea to leave behind any of your personal property with your renters. This includes personal property inside the home, attic, shed(s), garage, the yard, and any other location on the premises! The Ladder- This was a story we heard through a National Association of Property Managers (NARPM) Meeting here in Pensacola with another local real estate company. A landlord left behind a ladder which was secured to the interior of the garage wall. One day, the bracket breaks and the ladder falls on the tenants vehicle. Of course, the tenant wants the owner to pay for the damages. What if this was a child instead of a vehicle? Rain Chain- We have a very nice home in a golf course community with a beautiful yard. The owner thought it helpful to leave behind the Rain Chain water hose for the tenants to use. The rain chain, which is valued over $200, is made from copper tubing and was stolen while the residents were at work one day. Ultimately, these type of luxury items are not meant for rental properties. Van Lawn Ornament- Yes, we had an owner who wanted to leave behind his inoperable van. He just parked it in the back of the small yard and left it there. Stationary items in your yard will damage your grass, make it harder to care for the lawn, and encourage pests, snakes, and other insects. This will affect your rental income, your tenant retention rate, and your tenants satisfaction level. Sheds & Storage Buildings- We've had several property owners who wanted to keep their items stored in their storage sheds, closets, garages, and attics. From various items like surfboards to slam packed full of junk, we've seen it all left behind. We've also had local owners who wanted to retain the use and regularly visit their sheds, storage closets, and garages on the property. Storage is an amenity; privacy is a must have! Do not trust your tenants to take care of your items the way you do. Most will not. Your tenants need the storage just like you need the storage. Especially if it's the only storage available on the property. Where are they to store their lawn tools, holiday decorations, and outdoor equipment? There are certain items you don't want them storing inside. I've seen a lady with a lawn mower in her dining room too many times! Most sheds and storage buildings are not meant to hold household goods and other indoor items over long periods of time. The humidity in Florida breeds mildew and mold growth, especially in areas with no climate control. The more organized a home is, the easier it is to keep clean. Storage space allows for an organized home. It may sound silly, but your tenant will resent your inability to remove your items from the property. Lawn Mower- It sounds like such a good idea, to leave your lawn mower for your tenants to use. If you want to leave a lawn mower for your tenants, do so, but don't expect to get it back. Don't expect to have the oil changed on time or to have the blades cleaned properly after each season. And do expect your tenants to call asking if you will be replacing the broken lawnmower when it does quit working. Also, make sure you have a written understanding with your tenants about non-warranted items like lawn mowers or even a washer and dryer. Leaving these items behind, or robbing your home of its total potential storage space is going to cost you money in the long run. So take it with you, donate it, sell it, give it to your brother, it's just best not to leave it at your rental property! be a more profitable landlord! 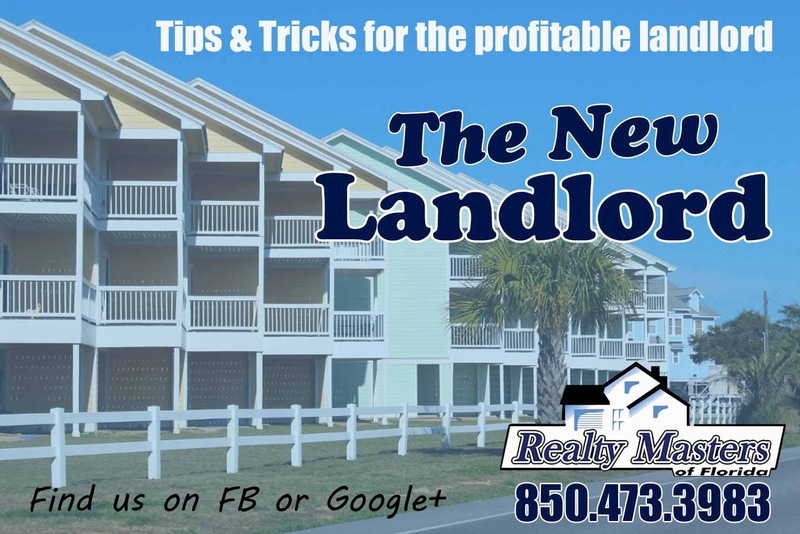 This is the first article of our new blog series "The New Landlord: Tips & Tricks for the Profitable Landlord." Make sure to follow our blog for more free advice on how to be an effective landlord! Do you have any questions for us? Feel free to ask us your Pensacola Property Management Questions! Email them to Nicoles@PensacolaRealtyMasters.com or give our office a call at (850) 473-3983. Pensacola Property Management & Rental Homes! Fathers Day Man Cave Idea! Voted #2 Best Sunset in America!!! How do you get people to come to your party? Getting rid of Poisonous Plants!